I bought these books from Audible and listened to them using the Audible App on my iPhone. The Human Division is something different, it is a collection of 13 short stories that take place in the "Old Man’s War" universe. This review is of the first 10 books in the series as the last 3 are not yet available. I am a huge fan of John Scalzi’s writing and the first two books from Old Man’s War were pretty great. But now I have grown tired of the series and don’t feel like it is doing much anymore. My guess is that I will continue to listen to any new "Old Man’s War" books that come out in the future, but they will not be my first choice, if something else is available, I will read that first. I rate this series a 5 out of 10. 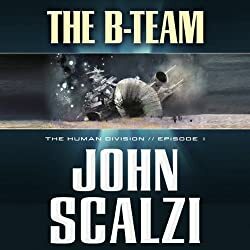 If you like "Old Man’s War" or are an undying fan of John Scalzi then you will want to read them. This series is the first time the Audible App has really let me down. They have updated the user interface in the app and I don’t like it much. They are truncating file names and the file names in the app do not match the file names on the web site. When looking at the individual books in this series in the iPhone app I could not tell which book was next. My solution was to send myself an email that listed the names of the books in the correct order. I really enjoyed the courses on inheritance and constructors. I am going to put that to use immediately and refactor a lot of code and use courses to make my code much easier to maintain, modify and re-use. All that said, I did have some issues while working through the lessons. A handful of times, I thought I understood the task but just couldn’t get it to accept my answer. The forums were helpful but it was not easy to find questions/answers related to the exact lesson/task I was having trouble with. I would appreciate it if the forums were broken down by individual lessons instead of by whole class. The in-browser coding environment is very slick, but in many of the lessons there were warnings from JSHint. Those warning were very distracting when I was starting out, after awhile I learned to ignore most of them. Education is old. The current public school system in the US dates back to the 19th century and wasn’t designed to scale the way it has. Lots of companies are working to "disrupt" education by changing the way things work in the classroom and by bringing the classroom online. We’re not one of those companies. We are rethinking education from the bottom up. The web has rethought nearly everything – commerce, social networking, healthcare, and more. We are building the education the world needs – the first truly net native education. We take more cues from Facebook and Zynga in creating an engaging educational experience than we do from the classroom. We do not want to open up universities. We want to open up knowledge. Everyone knows something they can teach someone else and we want to help them do it. Our community has created tens of thousands of courses and taken millions of courses. 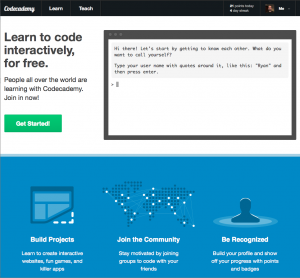 At this point, more than a billion lines of code have been submitted to Codecademy. I rate Codecademy a 9 out of 10 and it wouldn’t take many improvements to make it a 10. 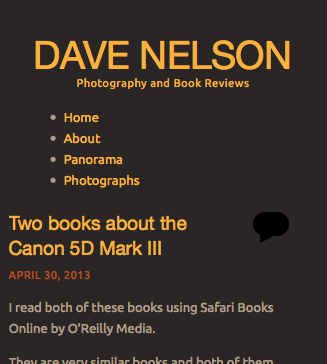 As a part of my web site moving and redesign I wanted to include a slideshow at the top of the home page. 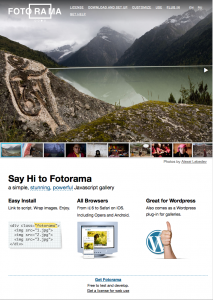 After researching and thinking about writing one of my own I found Fotorama which is a jQuery based slideshow framework that allows for many different types of slideshows with a ton of options. Take a look at the website and the examples, they are amazing. So I broke the process down into a handful of steps and iterated up to the dynamic slideshow that it is now. The first step was getting a version running on a test page with static content hard-coded into the page. There was a bit of tweaking here and there along with coming up with the idea to have a design that resembles a new window "Window" with Hide and Fullscreen buttons. The next step was figuring out how to dynamically get the picture URLs and Captions directly from SmugMug so that anytime I update SmugMug the slidesow on my website would also be updated. For that I chose to use phpSmug which is a wrapper class for the SmugMug API written and maintained by Colin Seymour. I ran into 2 issues with implementing phpSmug, the biggest of which was that it would randomly error out with a "CURL Error 7" which was causing my website to load very slowly and breaking the slideshow. I have addressed this issue by using the caching built into phpSmug combined with writing the parsed data necessary for the slideshow into a MySQL table. Anytime the SmugMug API is not available and the phpSmug cache has expired the data for the slideshow will be pulled from the database. 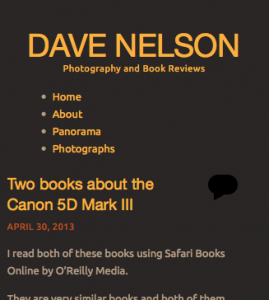 What the heck does "Repsonsive" mean when it comes to a web site? Haha, that is a mouthful. The great thing is I did not need to build three different websites, no "mobile" version, just "The Website." 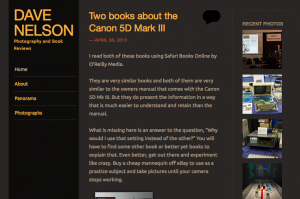 Another great thing is that I was able to start with a WordPress theme that someone else spent a lot of time an effort in building. I just tweaked it to fit my needs. 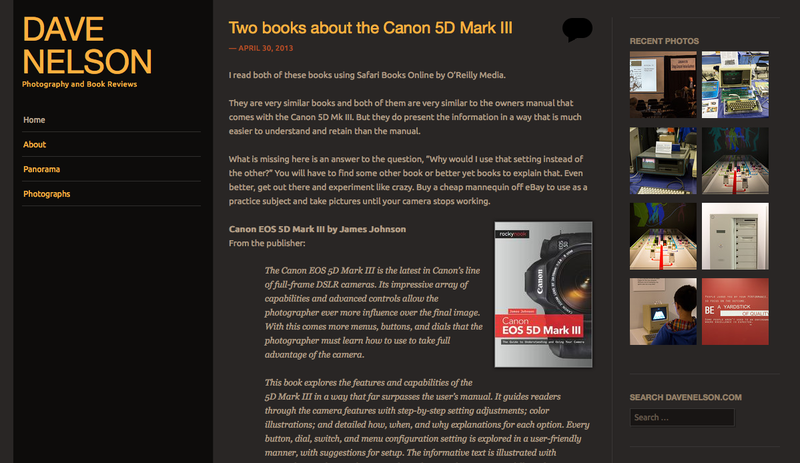 The theme is called Sunspot by Automattic and I really like the way my content looks when using it. Responsive design is not a fit for all web sites, content and interactions that work great in a desktop web browser are not always appropriate for the really small screens of smartphones and conversely content made for smartphones does not always scale well for big screens. But for a blog or any site that is primarily text-based I think responsive design is a great way to reach a broader audience. After 4 years at my previous host I had become pretty unhappy with them. I was running a WordPress blog and a PHP/MySQL based app to track an office football pool along with a handful of pictures for clients to download and prototype websites for conducting usability tests. But I was regularly having issues, mostly based around the web site being really slow. 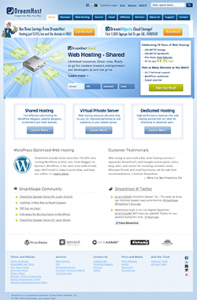 So after reading a post in Lifehacker about the best personal web host which highlighted Dreamhost as the best option, I decided to make the jump. The Dreamhost discount from the article was no longer valid, but I was able to find a $50 off coupon when signing up for a year or more. It made my first year cost less than $70. And after that the cost will be within $20 of what I was paying my previous host. It took about 2 days for the DNS entries to be updated, to make my tweaks, and to get WordPress up and running with my imported content. A big shout-out to the folks that make WordPress happen, exporting the content from my old provider then importing it into the new one worked like a charm. I had to tweak some settings and add some information in widgets and plug-ins, but overall it was amazingly easy. I’ve spent some time over the last 2 weeks picking a Responsive theme, Sunspot by Automattic, that works great on a desktop at any width, smartphone, and tablet. It took some tweaking based on the heading and navigation, but it is clean and easy to modify. 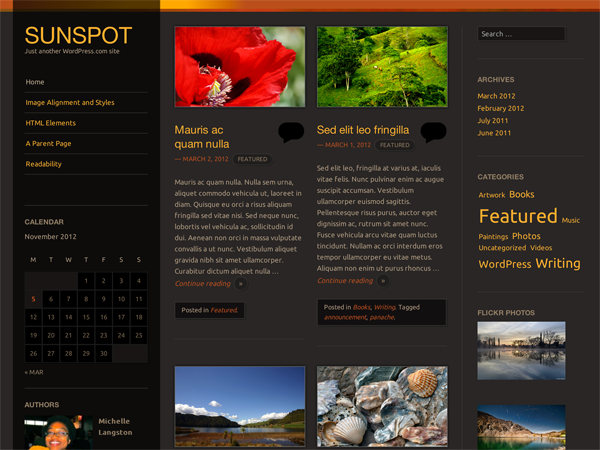 Then I started with the basic plugins, Akismet and Jetpack by WordPress.com which are great and easy to install and setup. Then I tried a bunch of different plugins that were all awful. For any WordPress install I highly recommend you go to a site like Pingdom Website Speed Test and check your speed with no plugins installed and then run it again after you add each plug-in. Also check it again anytime you make big changes to any plugins. Using Pingdom I was able to see that the “SmugMug for WordPress” plugin was absolutely killing the speed of my website, even when it was not displaying content on my website, so I am not using that anymore. 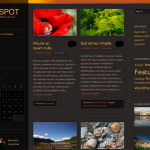 In the end I am using SmugMug Widget to display some of my most recent photos uploaded to my photography website. With some tweaking to the CSS I have the widget working great in the Sunspot theme and is now a part of the responsive design. Best of all the SmugMug Widget did not negatively affect the speed of my website. Then I tried W3 Total Cache and after a day of fiddling with it decided it was not for me. If you are not running some type of minification and caching system on your WordPress website I do suggest giving it a try, but I chose to go a simpler route. The big performance improvement for my website comes from WordPress Super Cache which makes dynamic pages static. On my server the pages are still served by PHP, but they are so much faster! 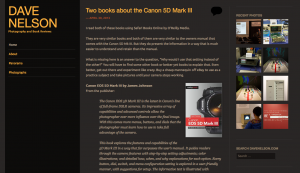 Now my website includes the content I want, has a responsive design that looks great on desktop web browsers, iPads, and iPhones, and is faster than I could have ever hoped for.